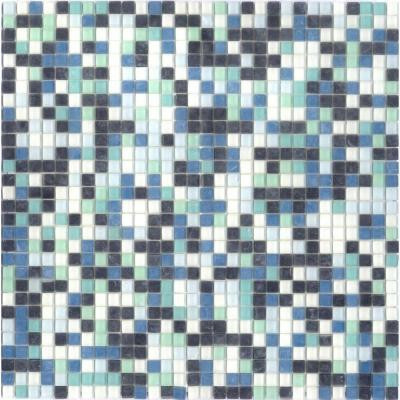 The Venice mini glass mosaic offers a unique, contemporary design in a wide range of solid colors and color blends. Consisting of small size (3/8 in. x 3/8 in.) individual glass tiles with a frosted finish and modern color palette, Venice is the perfect choice to create a stunning design statement in your home or business. Suitable for all residential and medium-duty commercial floor, wall and countertop installations. Frost resistant and easy to clean, Venice can be used in both indoor and outdoor applications. You can buy this product in our internet market. We will be glad if you make the right choice. First quality glass mosaic tile. 3/8 in. x 3/8 in. individual glass mosaic tiles mesh mounted on 12 3/4 in. x 12 3/4 in. x 1/4 in. sheet. Highly stain resistant and easy to clean and maintain. Completely frost resistant for indoor or outdoor use. 1.15 sf per sheet. Sold by each sheet. 2 lbs per sheet. Don't forget your coordinating trim pieces, grout, backerboard, thinset and installation tools. All online orders for this item may arrive in multiple boxes if orders ship via parcel ground.